We've spent years designing the perfect pocket notebook that balances both form & function. It's the only pocket notebook with with a hidden slot that seamlessly holds a mini-pen so you can capture whatever bright idea strikes you the moment it happens. It's also constructed to premium standards. We took the time to get it right. The cover is a hybrid paper / textile that's both water and tear resistant. 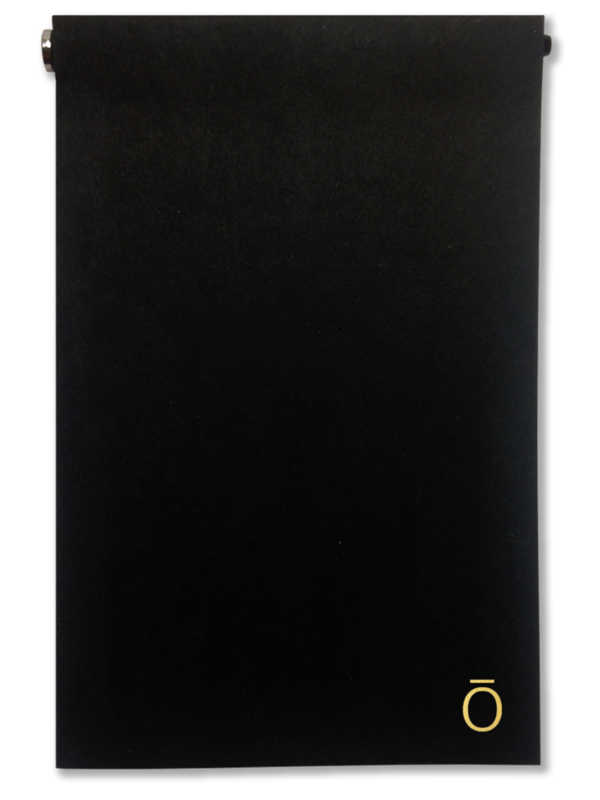 Designs are embossed using a luxury foil stamp process, and the inside replaceable notebook features a lay-flat sewn binding. A subtle slot along the top of the front cover perfectly holds an included pen so you're always ready to capture a thought, sketch or idea. Our notebooks are simple but designed to last - and that means being able to replace the inside book. It took us years to find a cover stock that was durable enough to handle everyday use. Our covers are constructed from a hybrid stock that’s both tear and water resistant. A pocket on the inside back cover is the perfect place for everything from business cards to security passes. Due to demand we're nearly sold out of our latest production run. Our online store is only being shared by invitation only for a limited time. Drop us a line via the below form to let us know you're interested and we'll keep you posted with updates. Bureau 2018, All Rights Reserved.